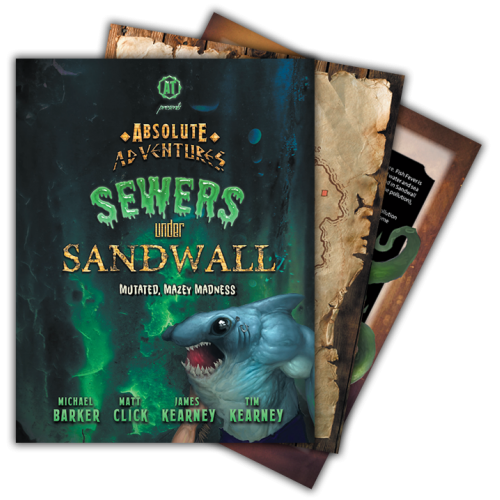 Trouble festers in the old sewers beneath the fishing village of Sandwall. A bandit king extends his slimy grasp, mutated goblins prowl the winding tunnels, and aquatic abominations lurk within the polluted waterways. It’ll take a particularly foolhardy band of adventurers to deal with these labyrinthian sewers ... are you up to the task? 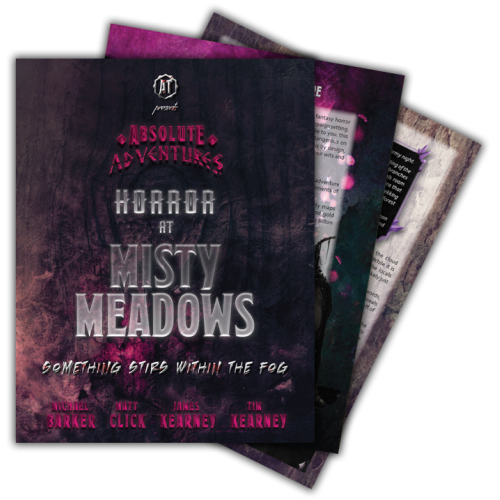 More than 60 pages of original RPG content! Delve into a labyrinth of dangers with a unique and twisted fantasy adventure. 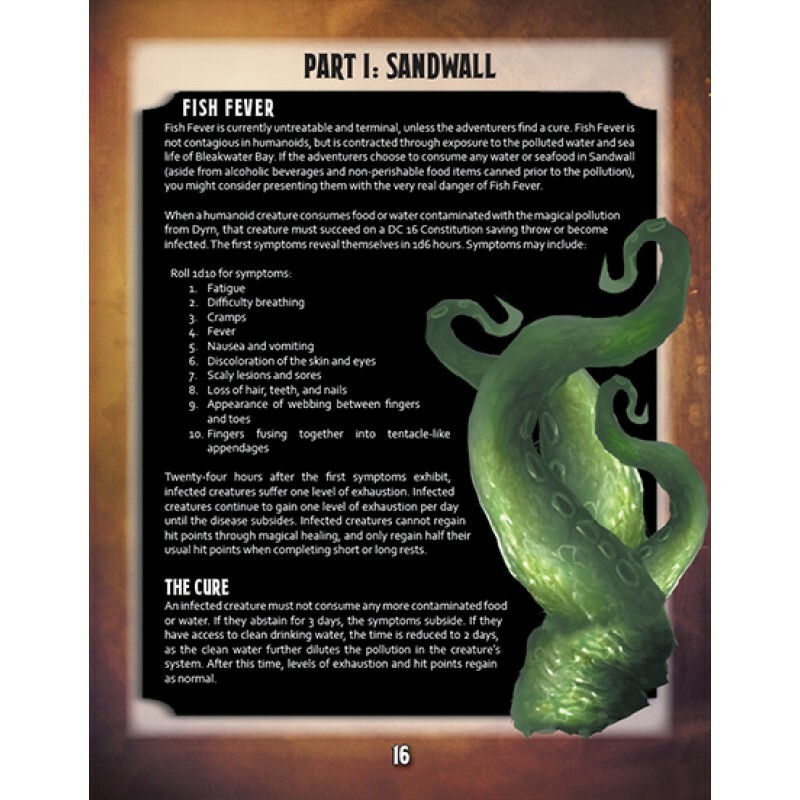 Designed using the fifth edition of the world’s oldest fantasy roleplaying game. Enjoy a balanced mix of combat, exploration, and social interaction, with varied encounters and challenges. 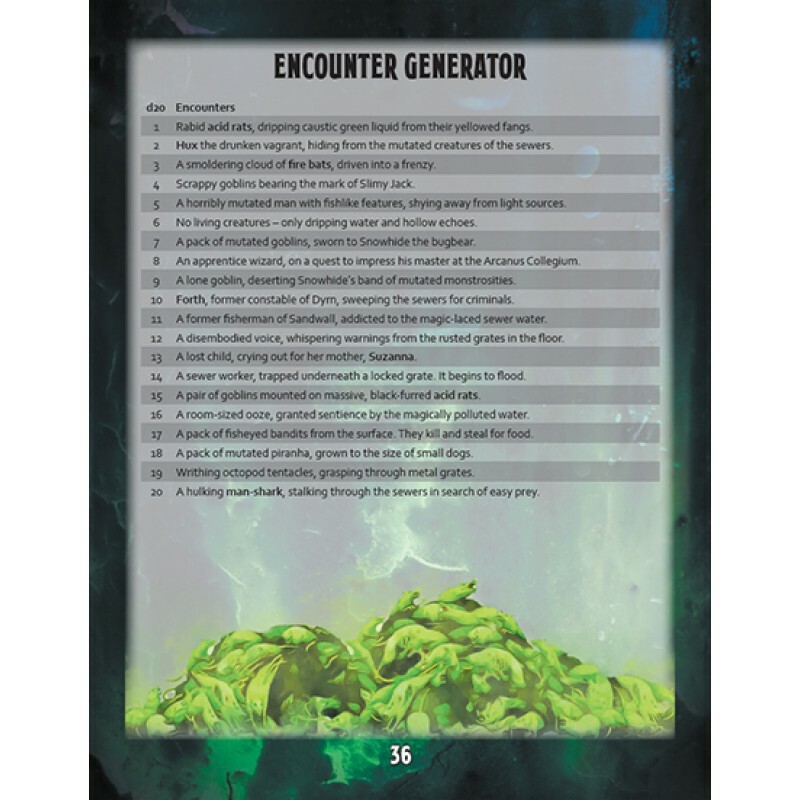 Do battle with nine unique monsters, mutated by magical pollution. 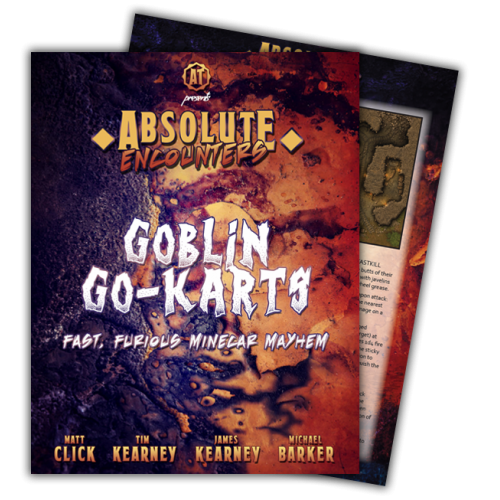 Maximum replayability – utilize robust roll tables to generate endless rooms and encounters. 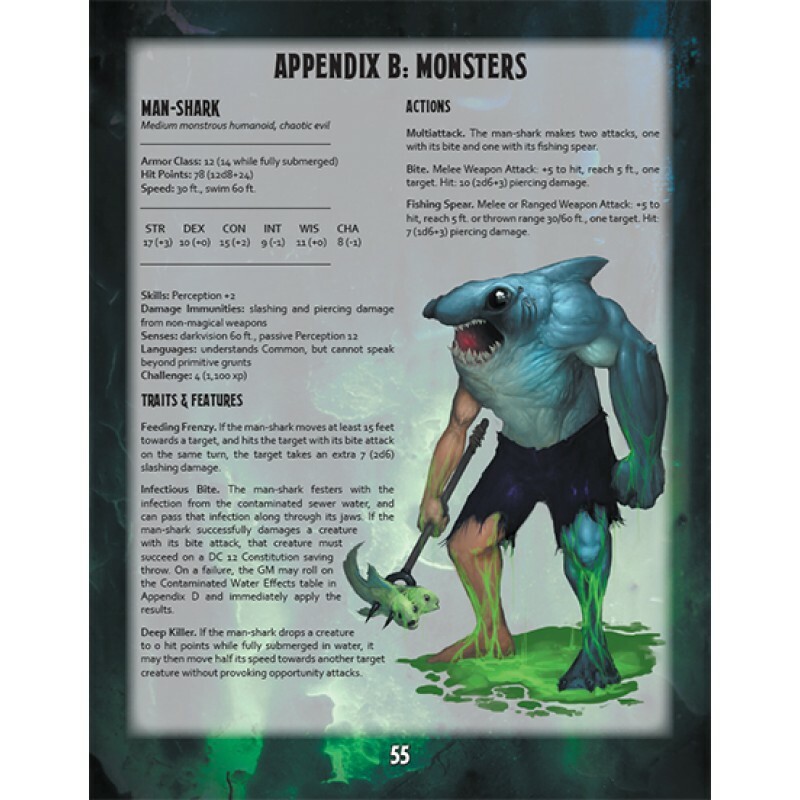 Build your own adventure with 20 pre-generated encounters and a bounty of monsters, traps, puzzles, items, and characters. Choose your fate with four unique, cohesive endings. Forge your path – multiple maps included! Overcome four new traps and two challenging puzzles. Suitable for veterans and new players alike. These dilapidated, abandoned mines once glittered with silver and gemstones. 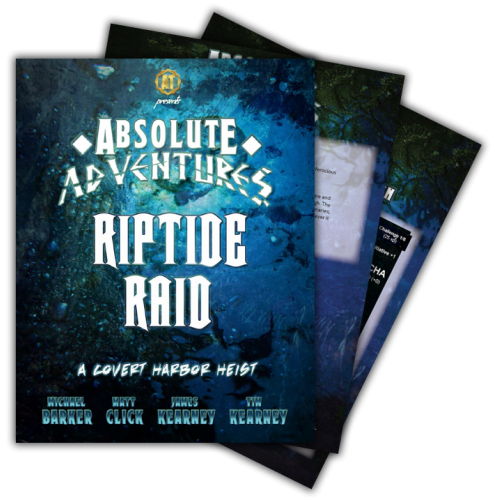 But the din of shovels ..
Absolute Adventures: Riptide Raid! 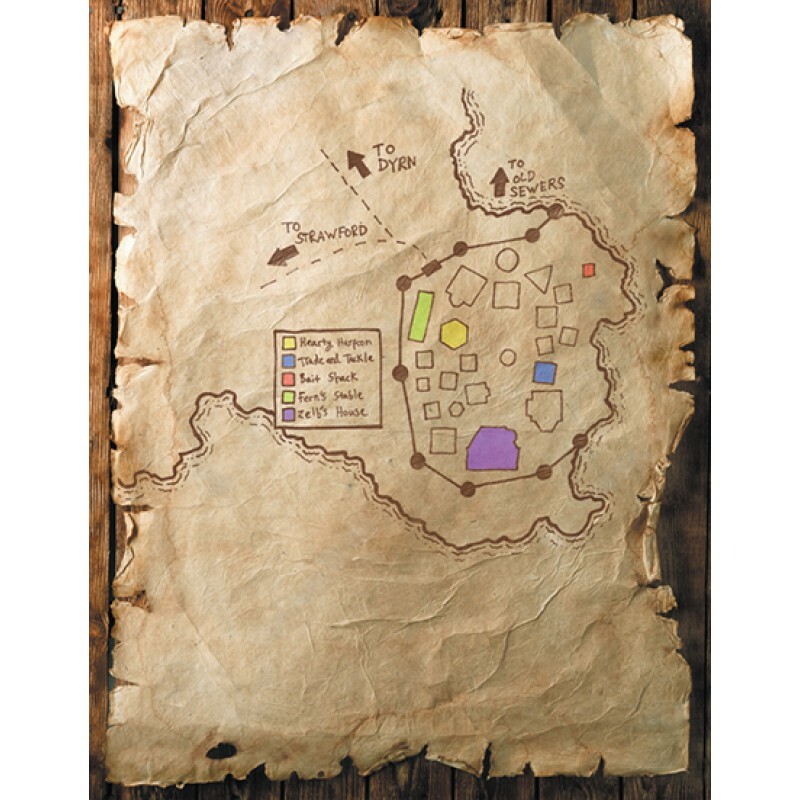 is a swift and silent adventure involving the dispatching of priv..